From New York City to Los Angeles, top bars are serving up cocktails spiced with chiles, wasabi, ginger, and other fieryflavors. Spice & Ice brings this trend to the home bar with recipes for 70 tongue-tingling drinks, including Wasabi-tinis and Jumpin' Juleps. 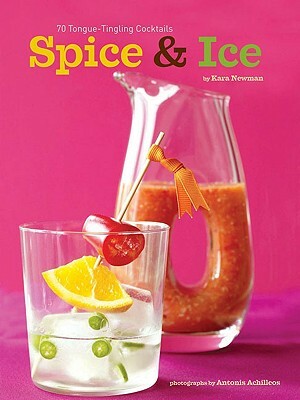 As the author of the High Spirits column for Chile Pepper magazine, Kara Newman is the perfect coach for crafting beverages that bite. Don't worry: these beverages may be peppery and warming, but they're not too hot to handle! With suggestions for food pairings, facts about chile peppers, and tips on building a spicy liquor cabinet, Spice & Ice is a must-have for cocktail enthusiasts and chileheads! Kara Newman is a food, wine, and spirits writer based in New York City. Her work has appeared in the New York Times, Gourmet, Saveur, and Wine Enthusiast, among others. Antonis Achilleos is a New York-based photographer.